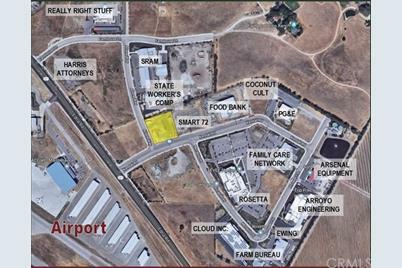 Located across from the new SLO Airport Terminal. This .97 acre corner parcel at the intersection of Kendall Road and Allene Way has excellent exposure and ingress/egress. 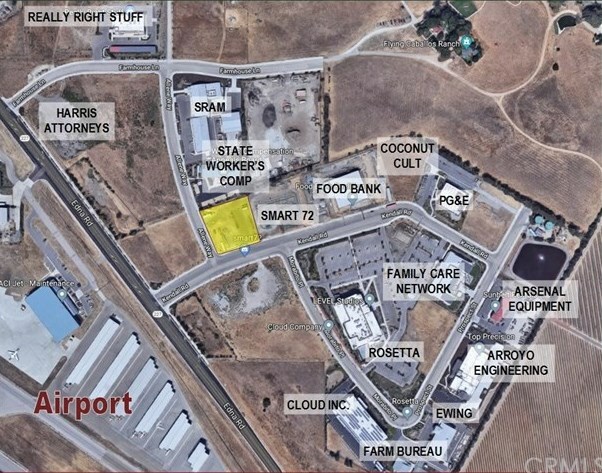 Join the growing number of companies locating to the East Airport Tract; Rosetta, SRAM, PG&E, Cloud Inc, Arsenal Equipment, Family Care Network, Ewing, Arroyo Engineering, Harris Attorneys, Coconut Cult, and SMART 72. 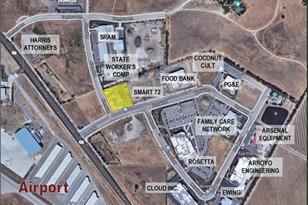 4750 Allene Way, San Luis Obispo, CA 93401 (MLS# SP18022579) is a Lots/Land property with a lot size of 0.9700 acres. 4750 Allene Way is currently listed for $875,000 and was received on January 30, 2018. Want to learn more about 4750 Allene Way? Do you have questions about finding other Lots/Land real estate for sale in San Luis Obispo? You can browse all San Luis Obispo real estate or contact a Coldwell Banker agent to request more information.